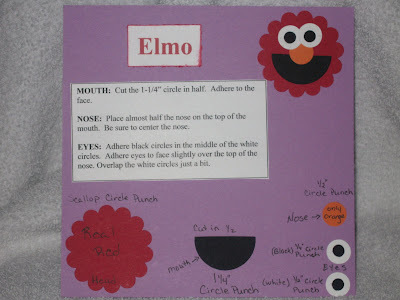 Honeybee's Stamping Hive: It's ELMO! Isn't Elmo cute. I love the way these all turned out. Dawn gave all the instructions on her blog, I just wanted to make them into technique pages for my 1st technique album. Enjoy your day. Keep buzzzin' by with a great big oh HI.